Today was one of the most fun days so far! It was Heroes Day, a civic holiday across the country so all of the children were off school for the day. We planned a day full of activities for them. 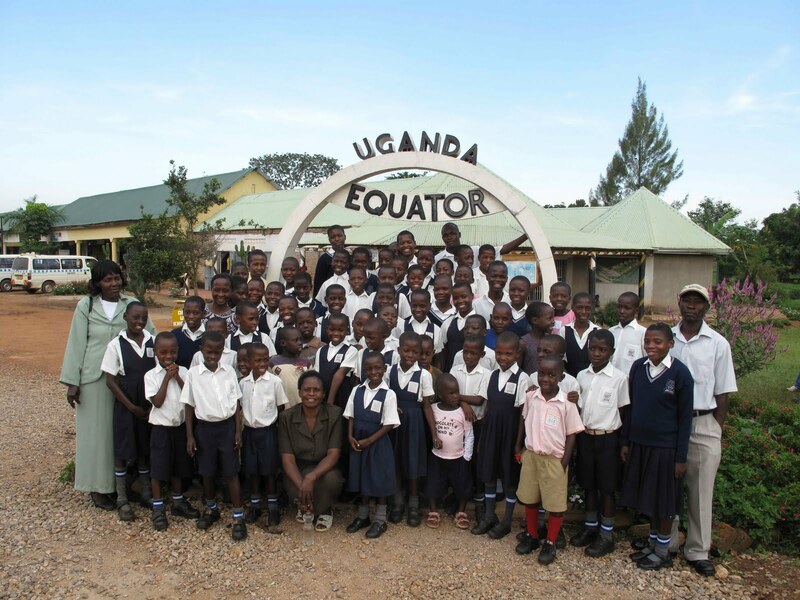 We started off by driving them all to the equator for a picture. Although it is only 30 minutes away, the children have never been before so it was a unique experience. We then took them all to the drum makers where they learned how to make African drums, cow hides and all. One of the older boys, Job, took full detailed notes in his notepad while the rest of the kids ran around the shop banging every drum they could! We returned back to the 10 acres for a big, messy craft. Each child had a wooden letter to paint, the first letter of their name, and it was so much fun to see their individual artistic talents. Then the mzungus were in charge of lunch! We thought it would be a fantastic idea to let the children and mamas try a hotdog, chips and pop lunch. It didn't quite go as planned. It took a while to explain that there was not actually any dog meat in the hotdogs, and the look of the mamas faces when we got them to try mustard was extremely entertaining. Turns out the children love ketchup sandwiches, dipping their chips in ketchup, and feeding the weiner to the cat under the table. To fill in some time after lunch we brought out all of the skipping ropes and new toys. The sun was shining and it was so nice to see all the children out playing and laughing with eachother. The Canadians attempted some of the skipping games and had the mamas rolling around laughing. The last activity of the day was taking everyone on a hike up the big hill next to our hill. It was hot and tiring but the view from the top was breathtaking and so worth it. We spent a long time up there, just hanging out with the kids and building strong relationships. When we returned we handed out the big gifts. Tracey's mom's quilting group made quilts for all of the children and mamas, and Brent found new, good quality backpacks to help everyone with their school books. It was a busy day, but definitely one that all the children and team members appreciated and will remember for a very long time. Every year the team visits needy families in the community to hear their stories and bless them with gifts. On Monday, Wendy, Tiana, Brent and Nigel visited 5 families and Lauren, Howard, Debbie and Allayne visited another 5 on Tuesday. We heard stories that moved us and gave us a true insight into how tough life in Uganda really is; it isn’t all happy worship in church. We gave the children kid packs, lovingly made by people from Peace Portal Alliance Church, and the looks of joy on their faces as they pulled out the new clothes are ones that will not soon be forgotten. The entire family also received mattresses, mosquito nets, laundry soap and other much appreciated supplies. 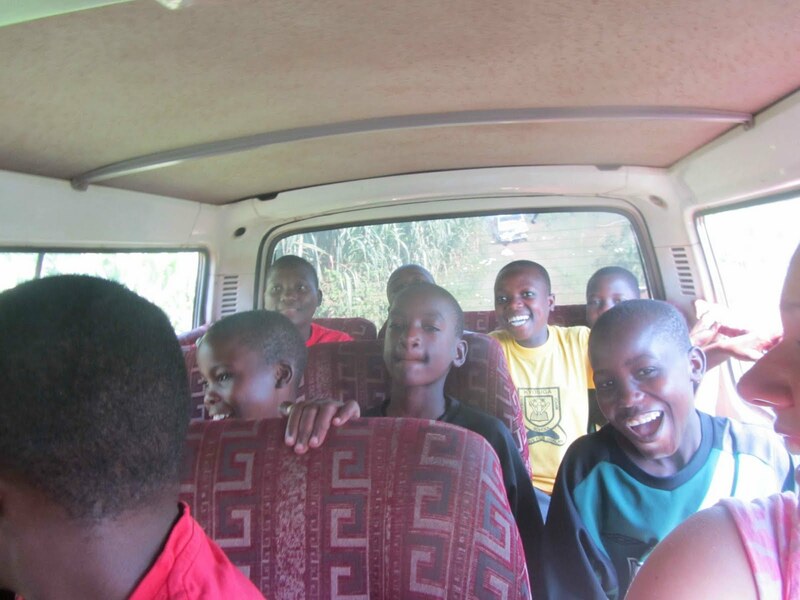 As well as care and compassion trips, the team spent Monday and Tuesday doing work projects. 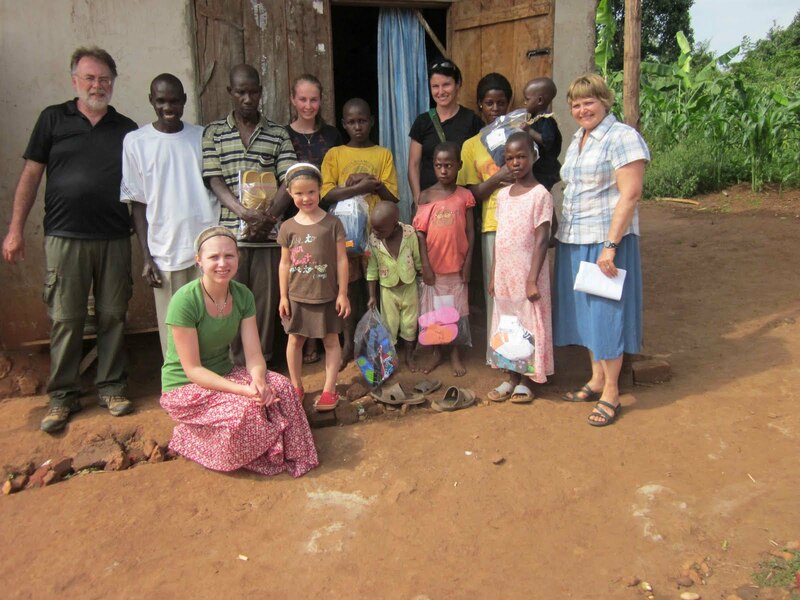 We helped the mamas wash the mountains of laundry by hand, and half of the team helped fix up the sister church to the one here at the orphanage, Peace Portal Mpigi. Lots of hard work, but we felt extremely accomplished and happy to have blessed the people here. On Wednesday we jumped head first into Ugandan ministry, beginning our day with a visit to the Mpigi prison. Brent gave a sermon to the 50 or so prisoners, then the girls took on the 8 female prisoners in a rather intense game of netball. The boys tried their chances at a soccer game and surprisingly, Uganda won both netball and soccer. 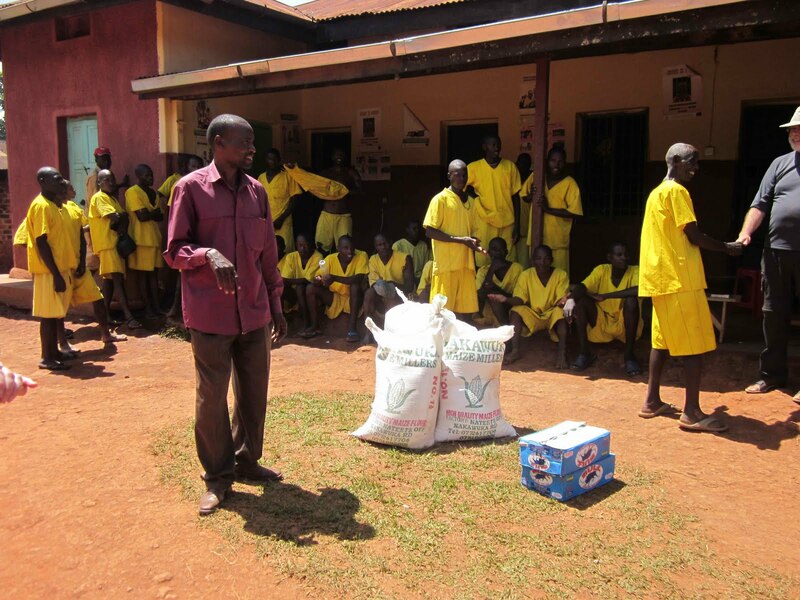 We blessed the prison with gifts of maize, beans and soap and it was incredible to hear how much our visit had brought them hope and joy. 4 men even gave their lives to Christ that day. We ate our power bar lunch in a nice shady spot in Mpigi and were quite the attraction with the local children on their way home from school. It seemed as if they were all daring each other to get the closest to the Mzungus (white people), then ran away laughing. 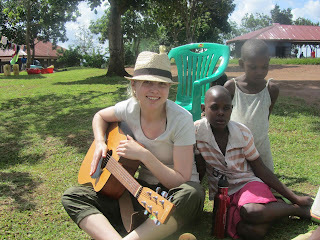 In the afternoon we visited the Mpigi hospital. That was quite the eye opener. The main doctor gave us a tour of the hospital that serves a population of about 200,000 with a staff of only 20. The male and female wards were very quiet but the maternity and children’s ward had a lot of patients; many women giving birth and children with Malaria. The highlight must have been as we are standing in the women’s ward and a chicken just walked out from under one of the beds. Only in Africa. After leaving Mpigi hospital, we are all extremely appreciative of the clean and well-equipped medical facilities that we have access to at home. Still no health issues among the team, although Brent has been keeping us highly entertained with his minor mishaps. Please keep the prayers coming. God bless. Today was by far the most exciting day of the week here in Uganda...not only did we celebrate in true Uganda style after finding out the play by play of the Canucks game, but the team got to experience Ugandan Church! Peace Portal Community Church, situated at the bottom of the hill from the orphanage, is church to hundreds in the Mpigi community. Everyone puts on their Sunday best and comes together to worship and praise God in a way only Ugandans can; arms and voices lifted high, dancing like no-one is watching! Allayne even gave a taster of Peace Portal Canada's worship by playing a song for everyone. The team was in charge of teaching the Sunday school lessons before and during church. Tiana and Wendy shared their testimonies, Lauren taught the youth, Brent taught the adults, and Deb, Howard, Tracey, Allayne and Lauren taught the children while Pastor Scott preached the sermon. Nigel worked hard taking pictures! Everyone was nervous because this was so far out of their comfort zone, but God was faithful and spoke through them and the morning turned out to be a huge success. This afternoon we had to say some hard goodbyes to 5 children we love dearly. The 5 oldest children here at the orphanage are now in their first year of secondary school and must live in the dorm rooms at the school. We were fortunate enough to bring them back for the weekend to spend some short but valuable time with them, but had to say goodbye this afternoon. We sent them on their way with hand made quilts, new backpacks and new bibles. We are all so proud of how well they are doing in school, the hard work they put in to their education, and the amazing example they are setting for the other children here. It's like seeing our babies grow up. Sad but proud! God continues to bless the team with good health and is revealing many new lessons to us each day. Thank-you for all of your prayers and we ask that you continue to pray for God to move us and reveal himself to us in all that we do. After watching the Canucks win game 1 we jumped on the first of our two 9 hour flights. We were able to spend a hour in London during our layover and then we were off to Uganda. I am happy to report that all of our bags arrived and so far everyone is happy and healthy! We will be spending day one and two getting to know the 52 kids and then on Monday the work begins. Please continue to pray for us! Pray that Allayne's mouth continues to heal, that the team continues to bond together and that we will encounter God in a fresh and new way as we serve him! More to come including pictures in a few days. This is it! The day we have all been excitedly and anxiously waiting for....Stanley Cup Game 1! While most of vancouver awaits the puck drop tonight, the 2011 Uganda team will be at YVR trying to find a TV to catch at least one game of the final series. Our nerves, anticipation and excitement, however, will not be with the game, but with the life changing trip that awaits us. We cannot believe months of physical and spiritual preparation have lead us to this day. We leave the stress of running around and last minute packing and enter into many, many hours of sitting on a plane in anticipation for what God has in store for us. After a 9 hour flight to London, we hope the lack of delays and passport line ups will allow us to take a whirlwind tour around the amazing city. This will be followed by a 9.5 hour flight down to Entebbe, Uganda and a 2 hour drive to the 10 acre orphanage! Thanks to everyone for your prayers, encouragement and support! God has been so good to us! 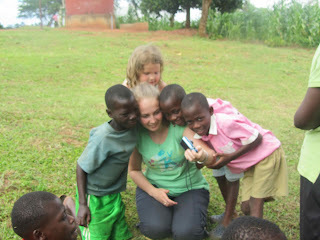 With exactly 7 days before the 2011 team departs from YVR to Uganda, we are all extremely anxious and excited! For some this trip will be there first experience of the work God is doing in Uganda, and for others they are travelling back because Uganda truly has a piece of their heart. The past few months have involved many meetings along with practical and spiritual preparation. Kiddie Packs are all organized, packed and ready to take on the care and compassion trips, but there is still lots of work to do. The team is finding it a challenge to plan VBS lessons for 250 children, and prepare words to speak in church small groups so we ask for your prayers that God will equip us with everything we need. 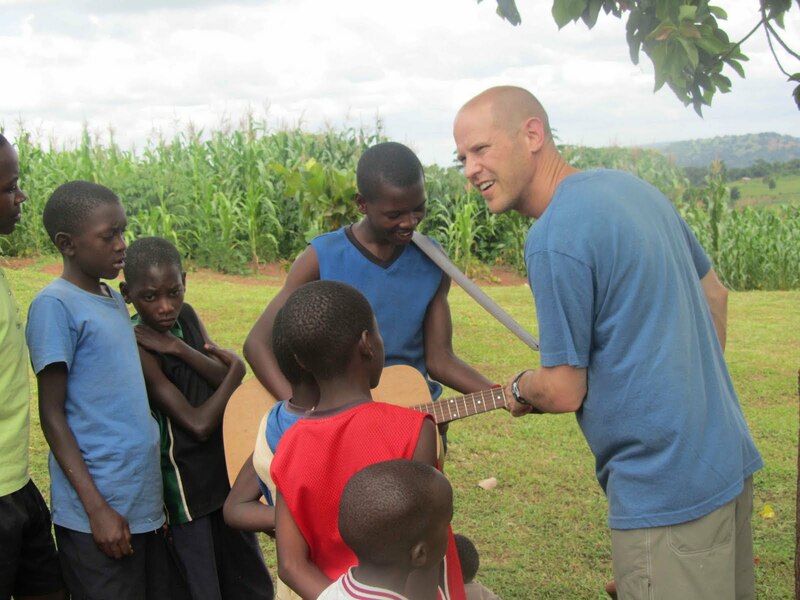 We also ask for your prayers for safety as we enter Uganda at a time of political unstability, and for open eyes, ears and hearts so that we can fully embrace this incredible experience. We are all excited to see what God has in store for us, what He will teach us while we are there and how He wants us to be His hands and feet to the people we meet. This blog, though frequent posts may be tough due to internet access, will allow you to share in our journey.